At a time of the year when everything is heart-shaped, your bookmarks should be too! 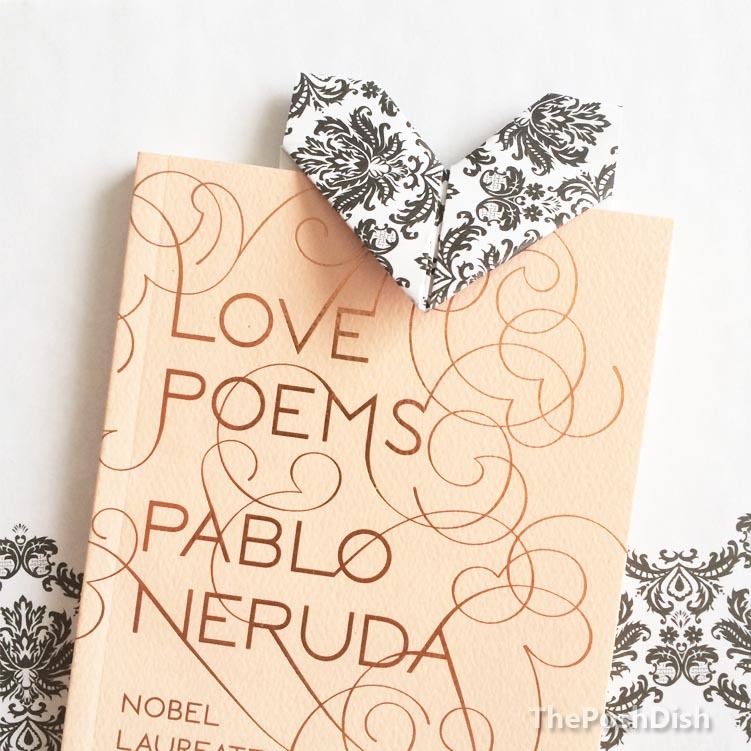 What better way to celebrate your love for reading (and get into the Valentine’s Day spirit) than this origami DIY to mark your favourite page. Follow the steps below to make your own! 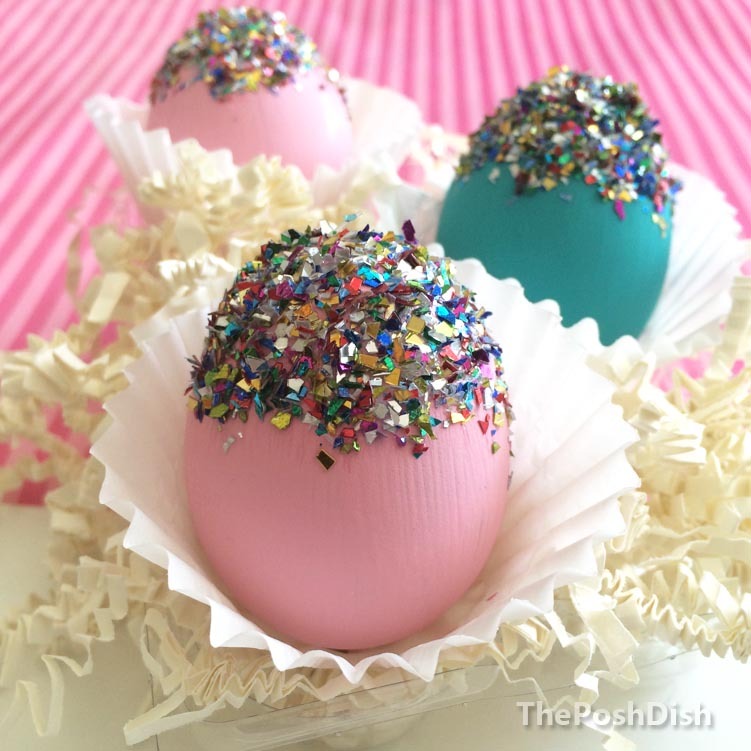 You can be creative here, and don’t have to stick to pink or red coloured paper. There are patterns, textures, and a whole lot of hues to choose from! If you’re ambitious, why not make one of each. 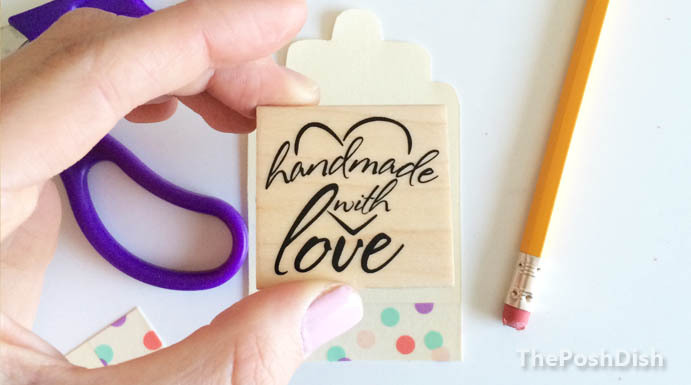 With so few materials needed, there isn’t too much that goes into making the bookmark. 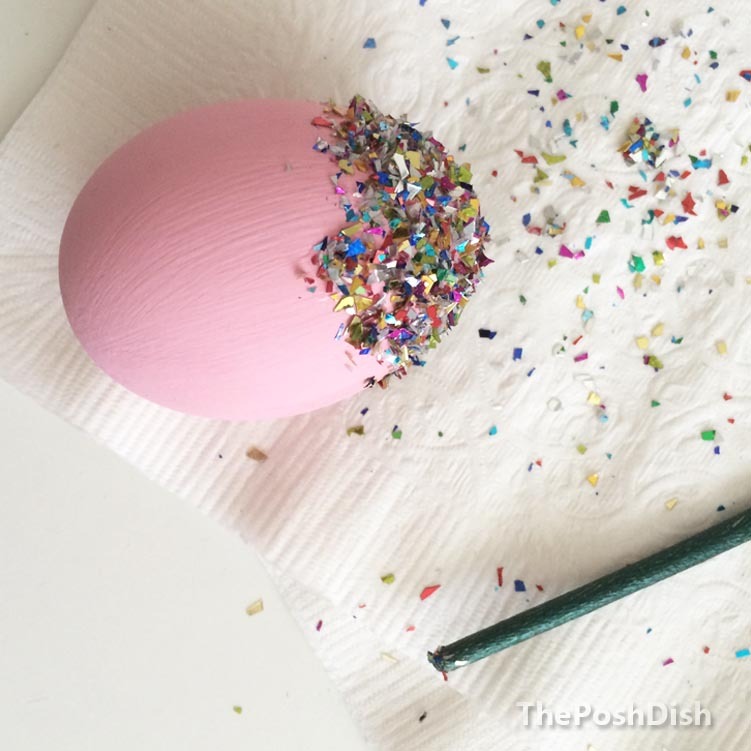 All you need is a little patience, practice, and this easy step-by-step video by Kawaii DIY. Not too bad, right? 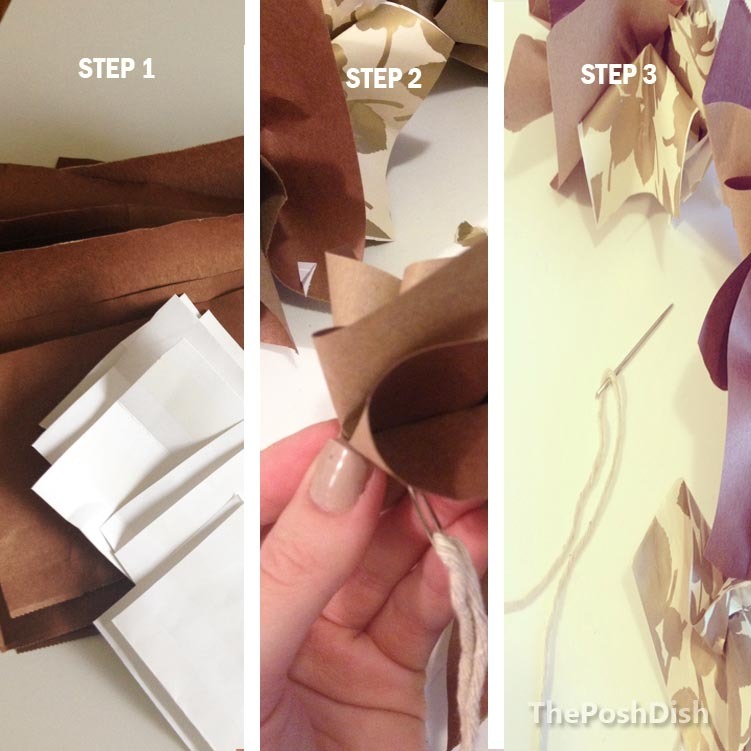 By now you should all be origami masters who are ready to tackle more intricate projects. 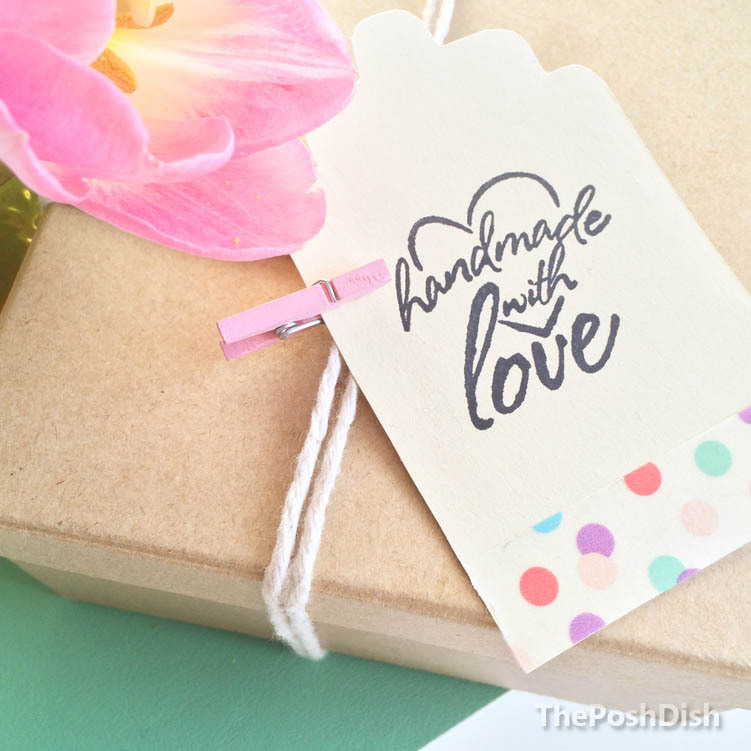 Feel free to show how your heart bookmark turned out by sharing a snapshot on twitter –tag @ThePoshDish! An Oxford shirt is a classic, whether layered under cardigans or peeking out from cable-knit sweaters. 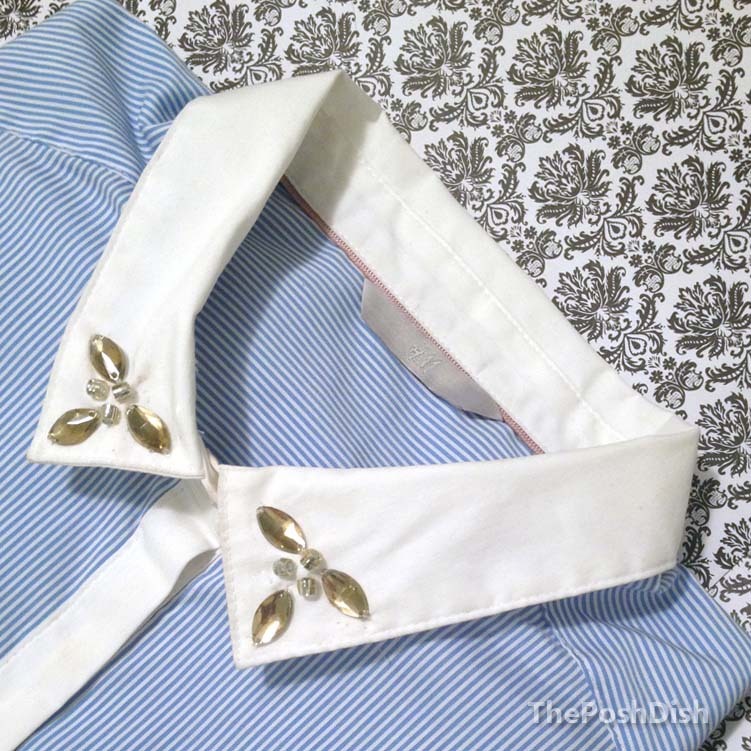 But whichever way you wear it, the collar is often the one that stands out. So why not make it dazzle? Sow on some jewels and skip the need for a necklace –this DIY will show you how! 1. Pick out your jewels, and spend some time deciding the pattern in which you will arrange them. 2. Once that’s settled, apply glue to the back of each and stick them in the position that they will be sown. This will prevent them from moving around until they’re secured with the fishing wire. 3. Sow each one on, tying a knot at the end. Cut the thread and voila! Layer with your favourite frock or tuck it into a skirt for instant glam. With a sharp pair of scissors, cut up 7x7cm squares of your chosen papers. Scrunch up each one from the bottom, like a flower. With a thick needle, thread each one on to a string in your desired pattern. When complete, tie a knot at the end and staple the two end papers together. Mount the finished wreath onto a circle shaped wire, by tying it with string in 4 quarter areas. Now you’re all set to deck the halls! 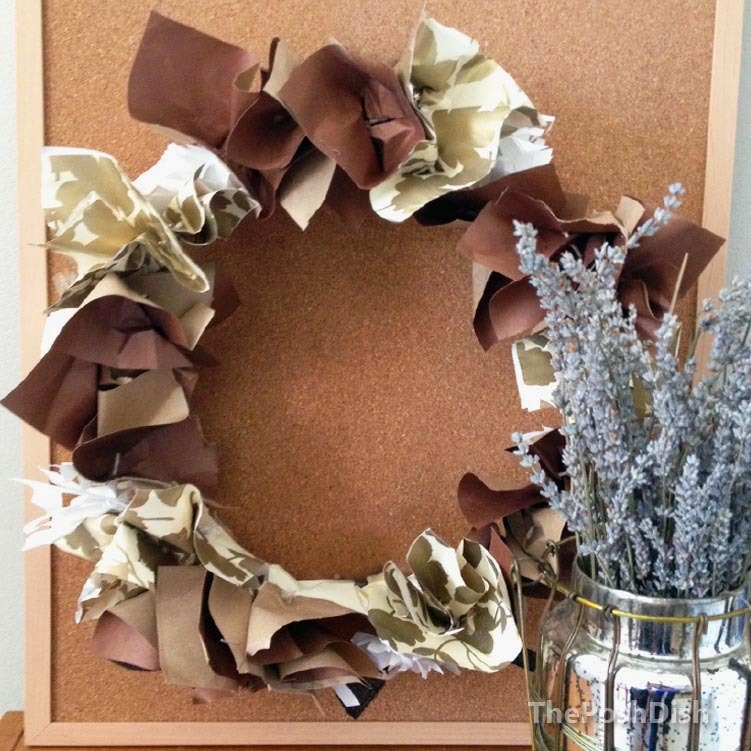 The wreath can look fabulous on your front door, or just as great used as a table centerpiece. A workspace should be clear, clean, and under control –whether at home or at the office. With all the things on our to do lists, it may be the last thing on our mind but getting organized is the first step to tackling the rest. And you know what’s always a mess? No, not the desk surface itself. The fact that it’s probably buried beneath books and paperwork is a whole different story. 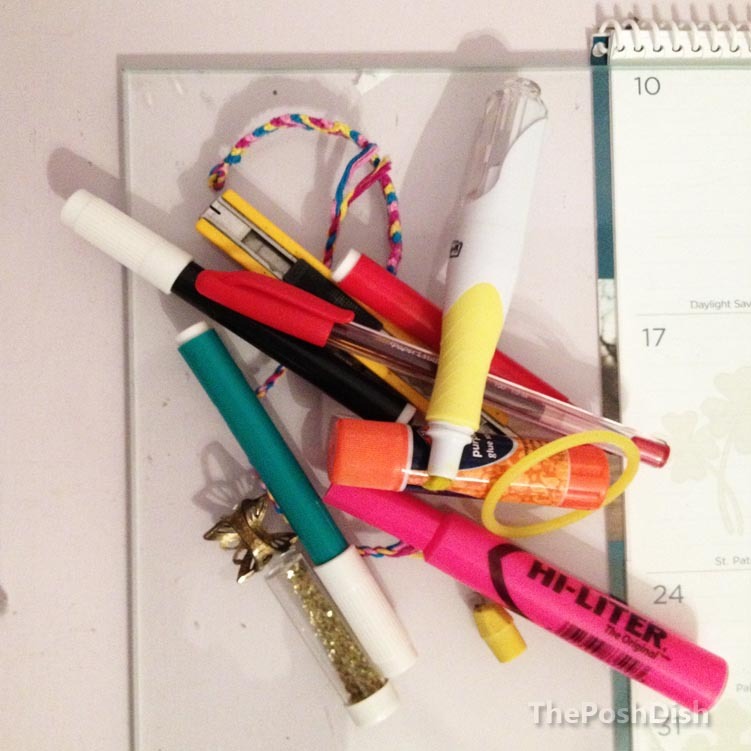 I’m talking about organizing trays and pen/pencil holders. Somehow, they always end up stuffed with a lot more than they should be. Hair ties, chocolate, and candy from LAST year’s Halloween? Please clear that out before Willy Wonka seeks revenge. The secret is to keep things in clear containers, that way you’ll have to keep it neat. Choose pretty glass jars in different shapes for added interest. Scroll below to learn how! 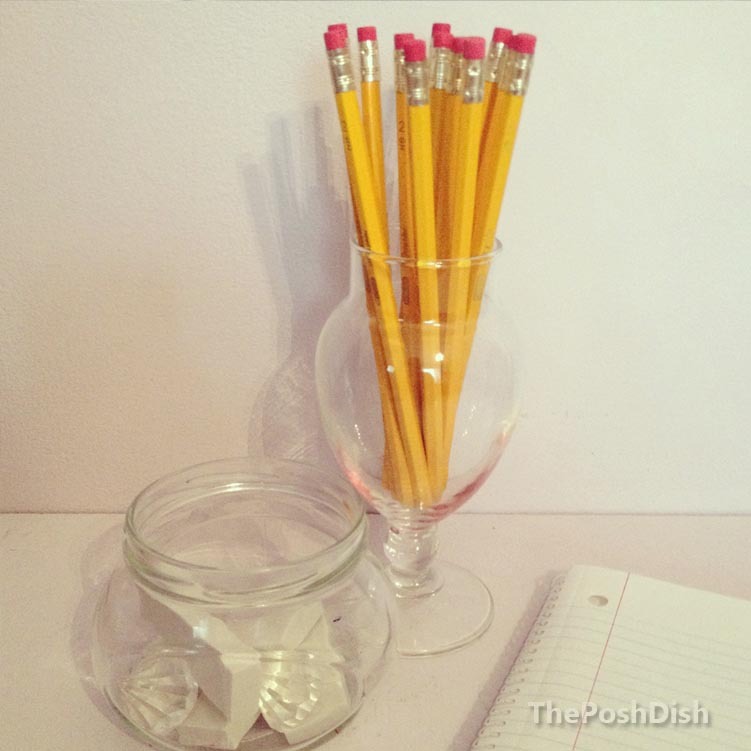 It’s really as simple as choosing which jar is for erasers, and which is for pencils& pens! Once that decision is out of the way, fill them up and watch your desk become the fairest of them all.